Westerly is a town on the southwestern shoreline of Washington County, Rhode Island, United States. 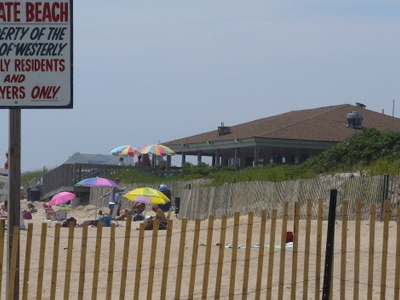 Founded in 1669 by John Babcock, it is a beachfront community on the south shore of the state. The population was 22,787 at the 2010 census. 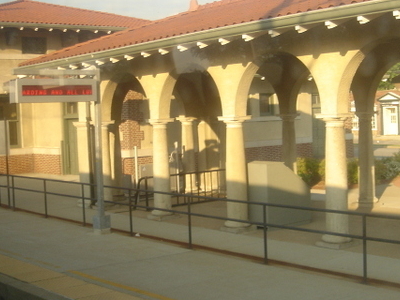 The town is part of the Norwich-New London New England City and Town Area. On the western border of Westerly flows the Pawcatuck River, once renowned for its own species of Westerly salmon, three of which are on the town's crest. The Pawcatuck River flows from some fifteen miles (24 km) inland, emptying into Little Narragansett Bay. 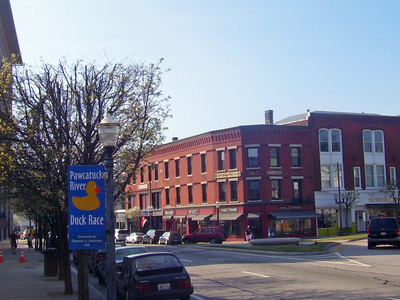 The Pawcatuck River also serves as the boundary between Westerly and Pawcatuck, Connecticut. Here's the our members favorite photos of "Towns & Villages in Jamestown". Upload your photo of Westerly!